As per the title, what car are you buying next? 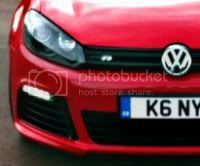 Most seem dead against further price rises and quite a few here seem to be having problems with their GTI's, so what are you guys realistically going to be replacing your MK6's with? Re: So then, what car are you buying next? My problem with the Mk6 was more about delivery than the actual car, basically I got bored of waiting, and while snoopy's "aug delivery thread" was fun, it wasn't enough;) I can't believe this delay issue still seems to be alive and well!! When I cancelled (aug 2009) the plan was to get a stopgap car and pick up a GTI after a year or so....anyone who's checked used prices will understand why I'm still in a mk5 R32! While it's a wonderful car, it does come with some serious running costs, and I've been casting round to see what I could replace it with. GTI's are silly money for what they are, and need mods to really cut it v my r32. So I'm considering crossing back to the dark side with either a mk6 GTD (suffers from the same delay-inflated prices as gti thou), or more seriously a TT quattro TDi. Either choice would be making an early trip to awesome gti for "remedial work"
But the point for me at least is that, for private buyers, VW have priced themselves out of what was a core market with the GTI. The MK7 is going to be as near as dammit a 30K car, and that goes against everything I grew up thinking a GTI was! For an example of what I mean, check the various mk's build threads, the MK6 is barely represented (and of the 2 there, one's now a cupra!). Thats not meant as a criticism, more as evidence the kind of people driving GTI's have changed with the mk6. 28+ years of GTI ownership. Been giving serious thought to replacing it with a Mk2 GTI. Mk1 GTI, Mk 6 GTI & 5 non VW. A 2010/2011 Cayman S. 320HP, mid engined, rear wheel drive, what's not to like. The all new Cayman is due to be released end of this year so will likely purchase Q1 2012 when the pricing drops. I won't be getting a MK7, the new baby Jag comes out I. Two year, wouldn't mind taking a loom at their hot one when it comes out. I am a car tart and have never stayed with the same manufacturer for more than 2 to 3 years. But I might change the habit of a lifetime and get a Mk7 GTI. Put it this way, it's at the top of my list. My Mk6 will be staying for some years yet, but my aging Passat will be next to go, probably to be replaced with something like a Discovery. Having said that, I'm fancing an old Defender for giggles, so that would be up for doing towing duties leaving room for something like an A4 Avant as my daily. Red Mk6 gone replaced with a white Mk7 which has gone too. Green Mk2 here to stay. VW, Audi, Mercedes and Honda Dealers and Service Departments are very conveniently located near my home. As I intend to stay with a German brand, as VW are the closest, as I have had excellent service from the local VW Service Department so far and as their Warranty Manager is my neighbour, it has to be a VW Golf Mk7 GTI. All boxes ticked for me! I keep having thoughts about an Alfa Giulietta. Not sure I'm brave enough to actually buy one though.. Page created in 0.181 seconds with 33 queries.